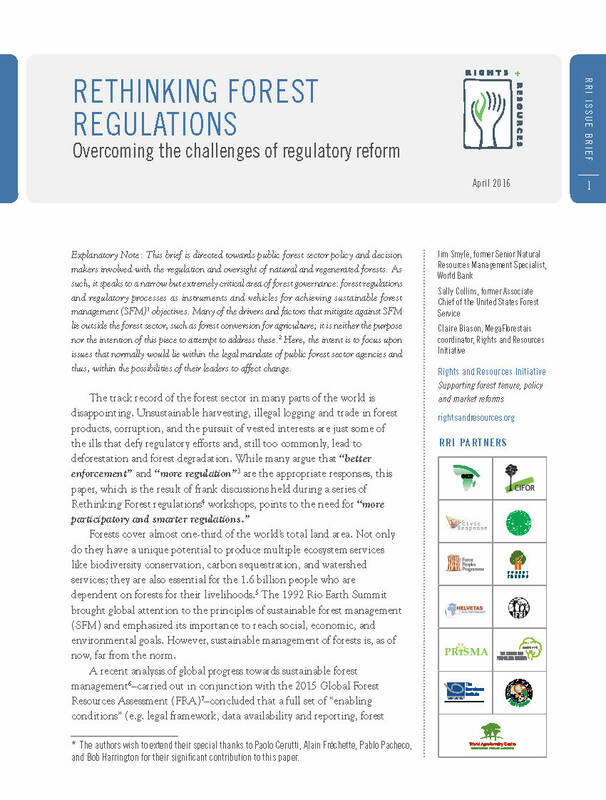 RRI has maintained the global database on “who owns the world’s forests?” since 2005, following Forest Trends’ 2002 analysis of the same name, and expanded the data beyond forests in 2015. 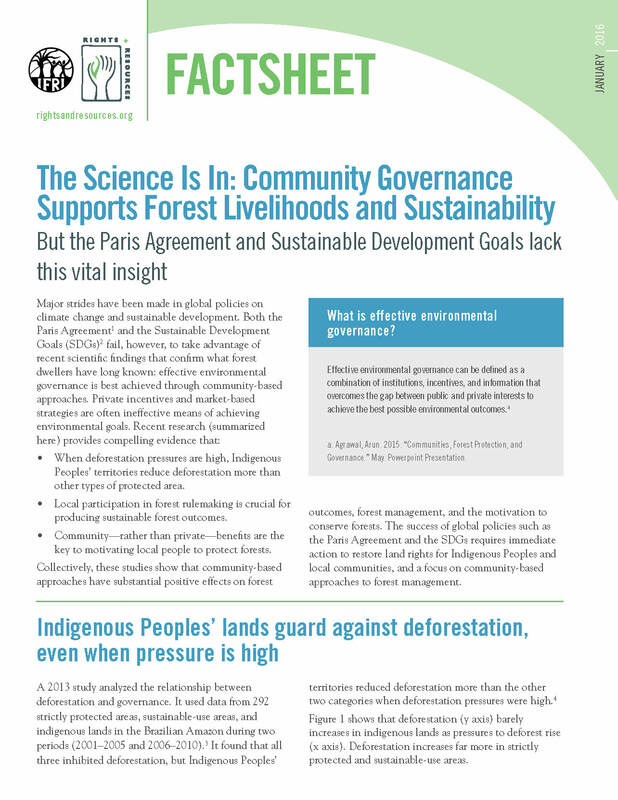 We regularly release new data on the state of Indigenous Peoples' and local communities’ land and resource rights as they relate to governance, natural resource management, climate change, the private sector, and gender. 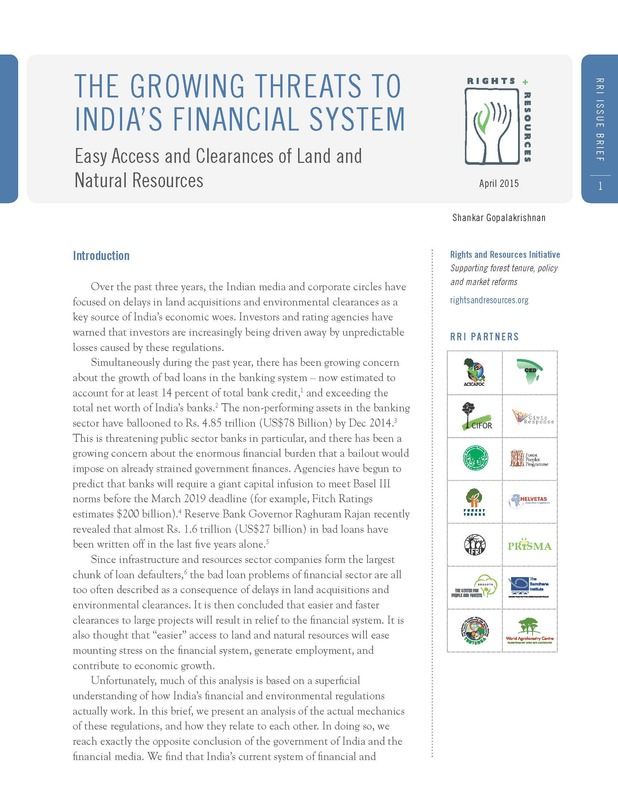 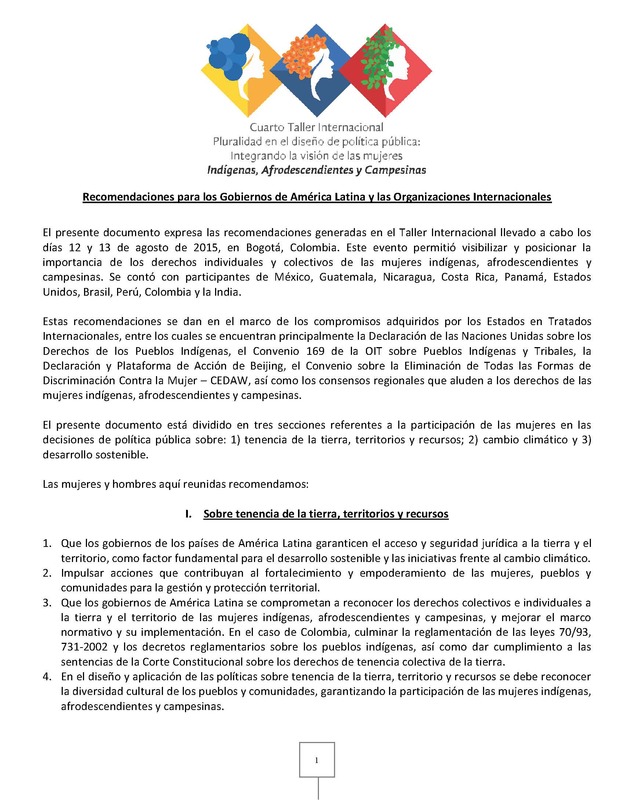 A complete list of our publications, available in PDF form, is below. 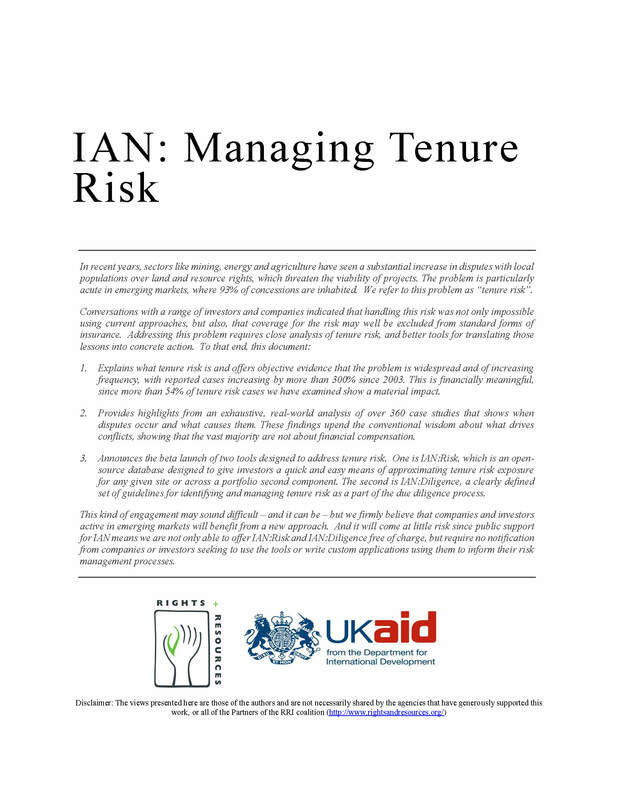 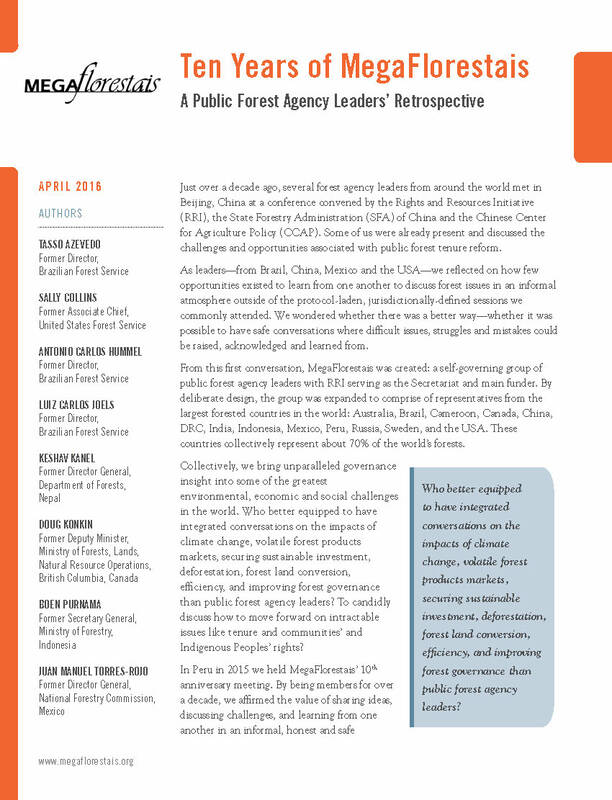 For more info on RRI’s forest tenure data, access the tenure data tool. 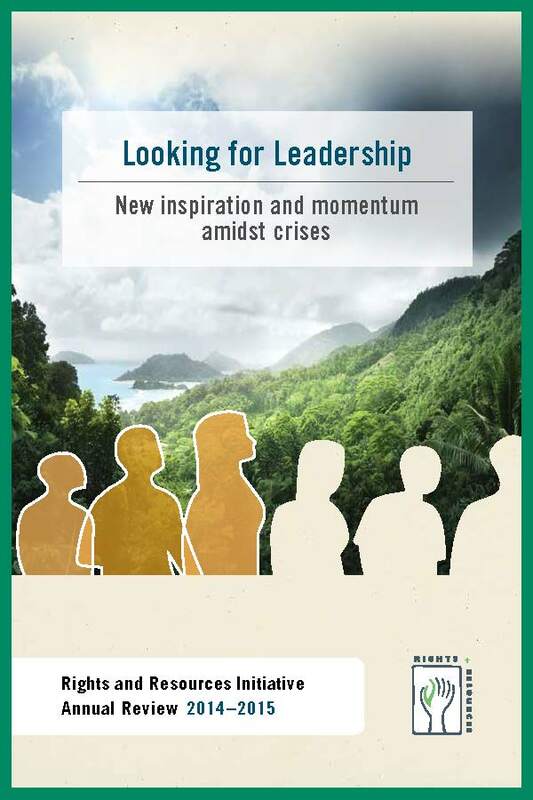 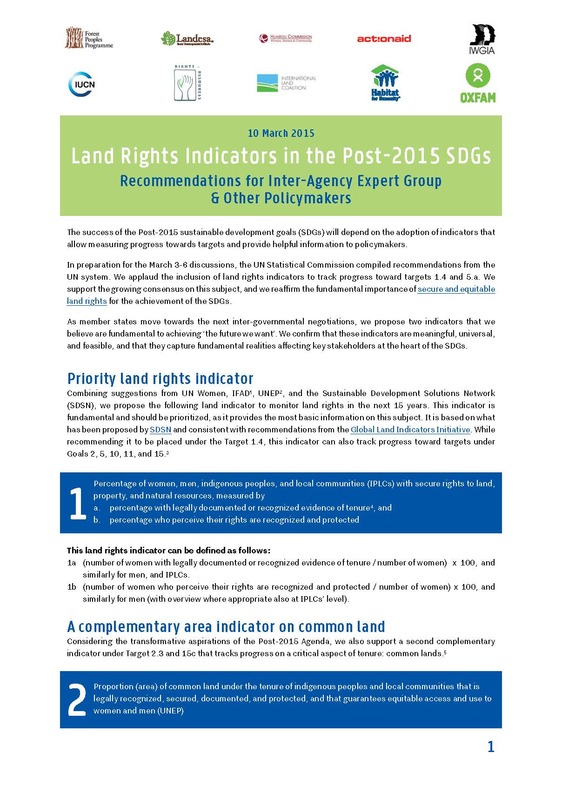 For questions regarding a specific publication, please email lbigda@rightsandresources.org. 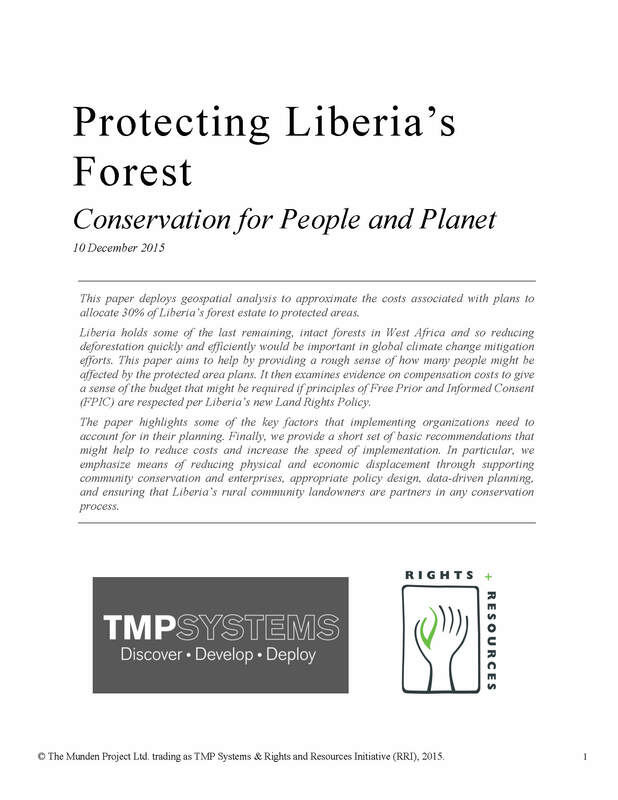 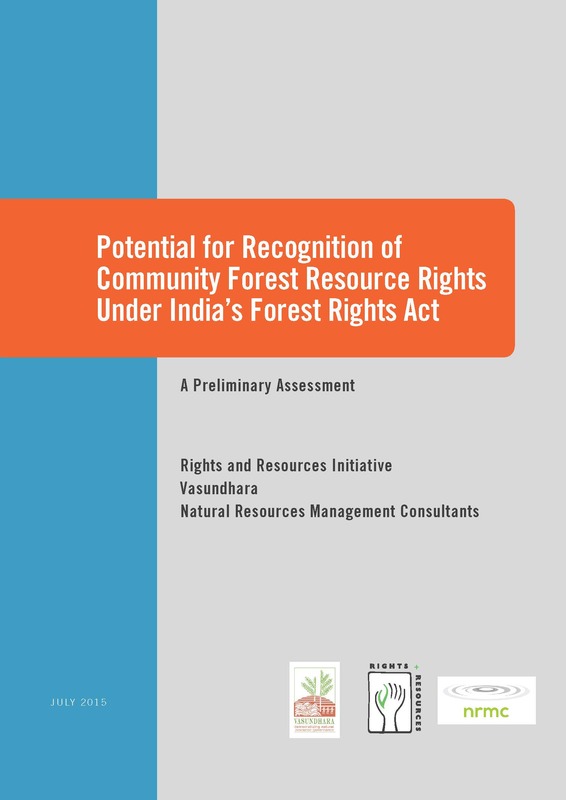 This brief is directed towards public forest sector policy and decision makers and speaks to a critical area of forest governance: forest regulations and regulatory processes as instruments and vehicles for achieving sustainable forest management objectives. 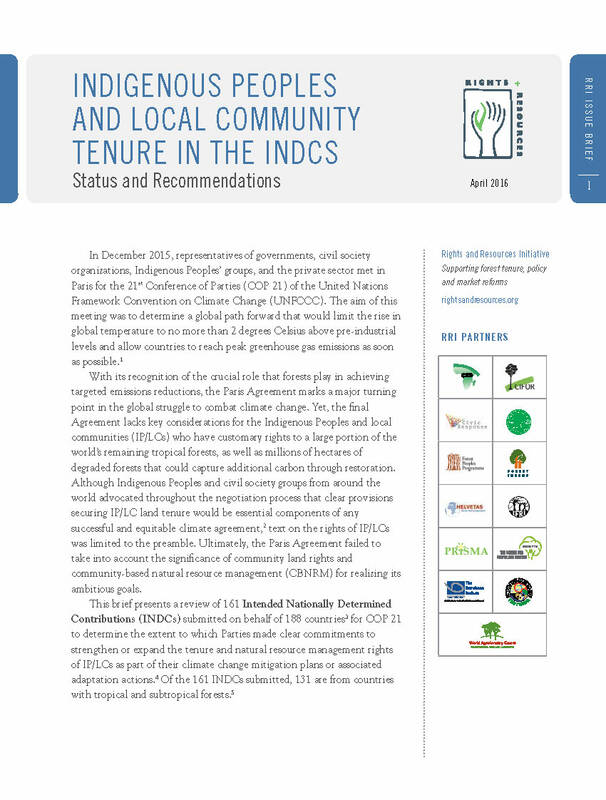 The importance of protecting and expanding indigenous and community ownership of land has been a key element in the negotiations of the Sustainable Development Goals and the Paris Agreement on climate change, and is central to their successful implementation. 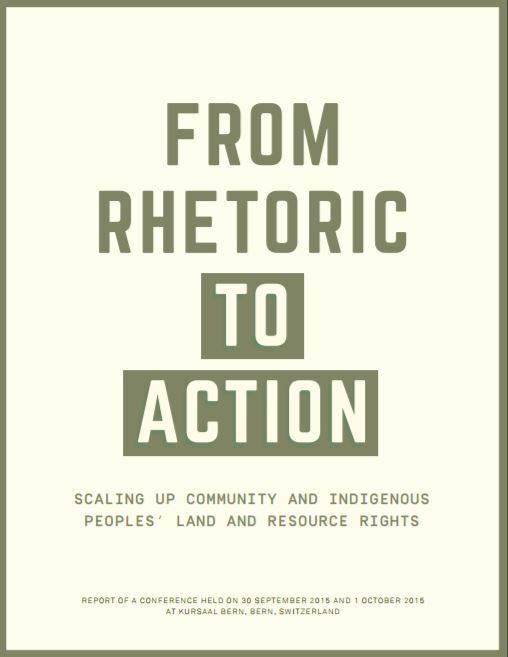 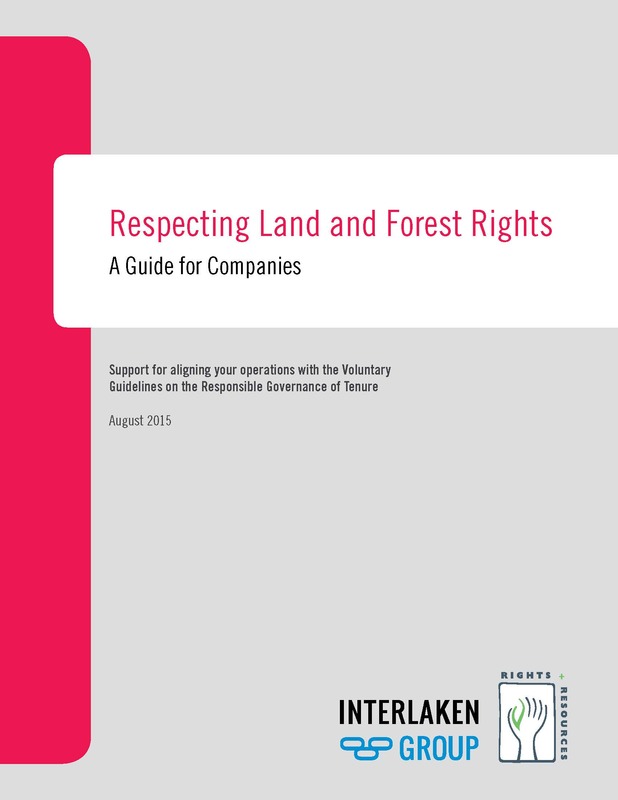 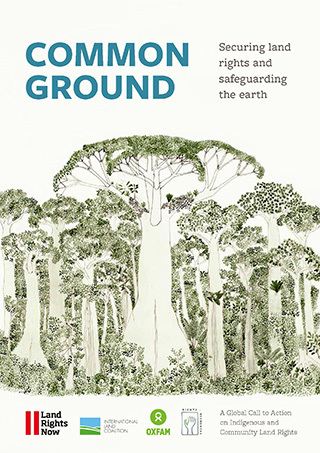 This report launches a Global Call to Action on Indigenous and Community Land Rights, backed by more than 300 organizations all over the world. 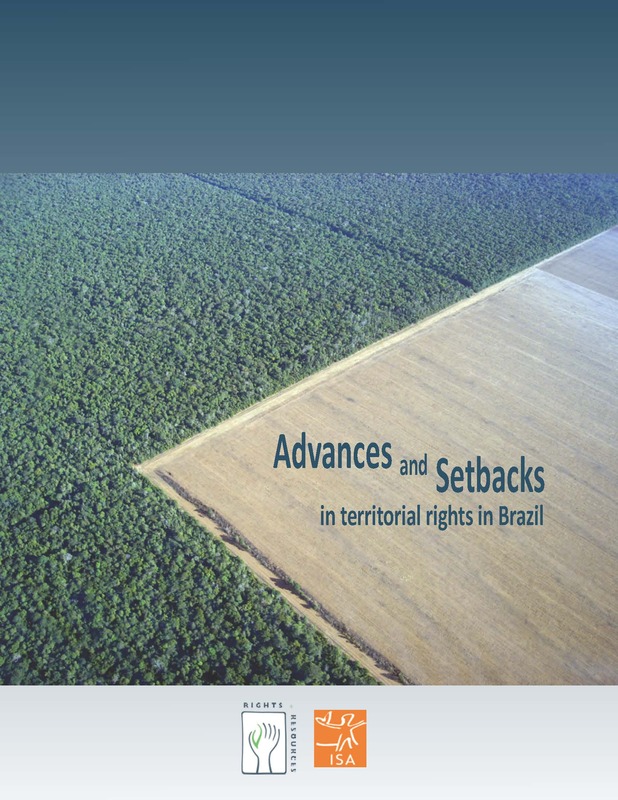 Who Owns the Land in Latin America? 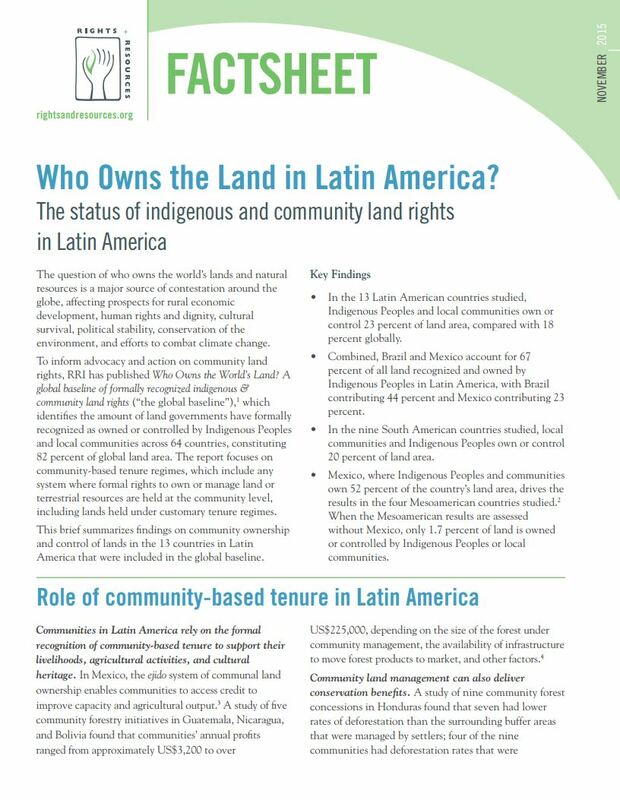 A summary of findings on community ownership and control of lands in 13 countries in Latin America. 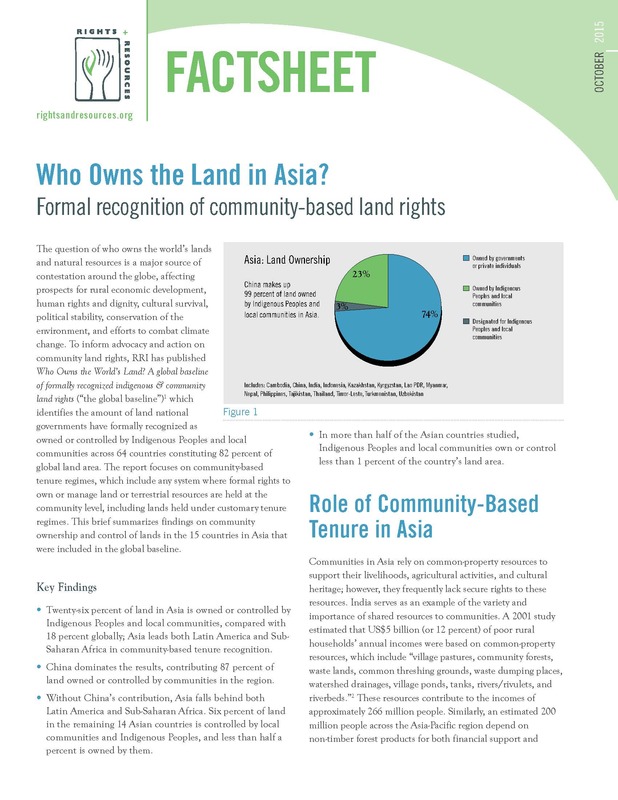 Who Owns the Land in Asia? 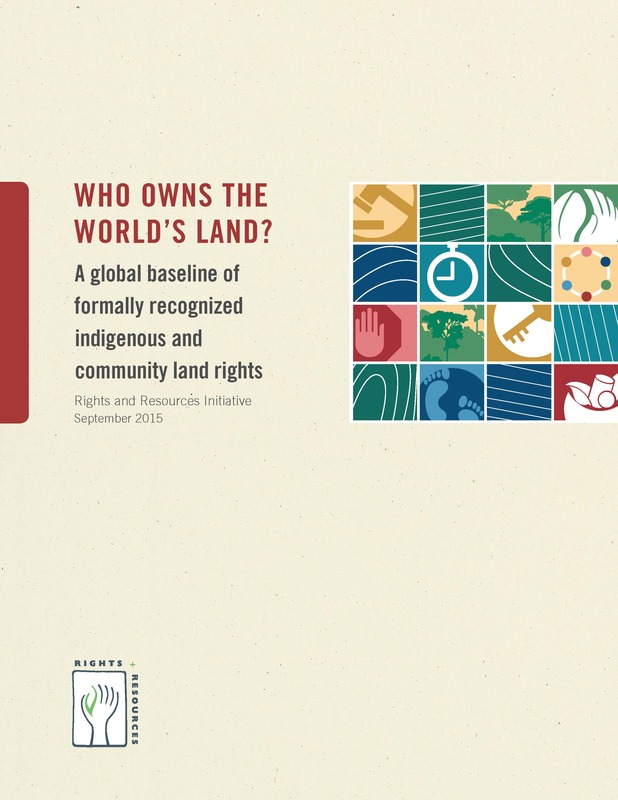 Who Owns the Land in Africa? 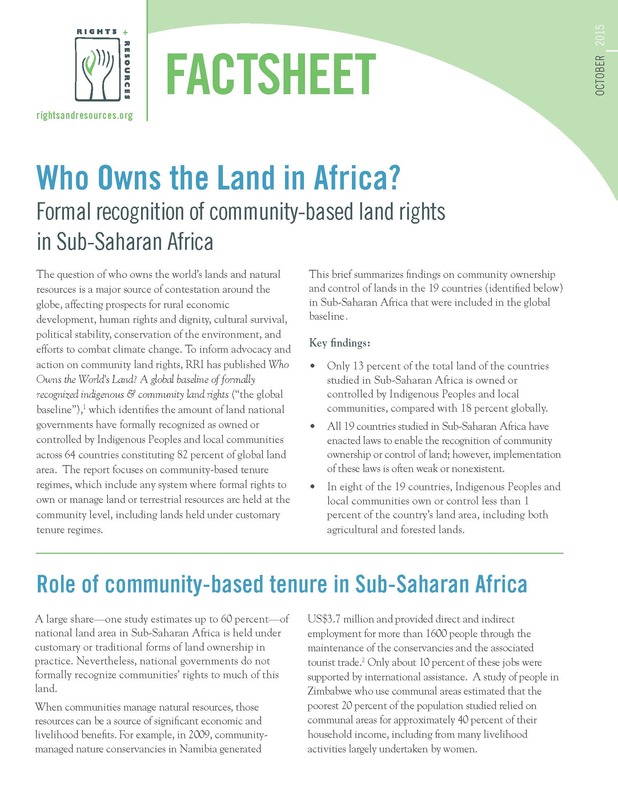 This brief summarizes findings on community ownership and control of lands in 19 countries in Sub-Saharan Africa. 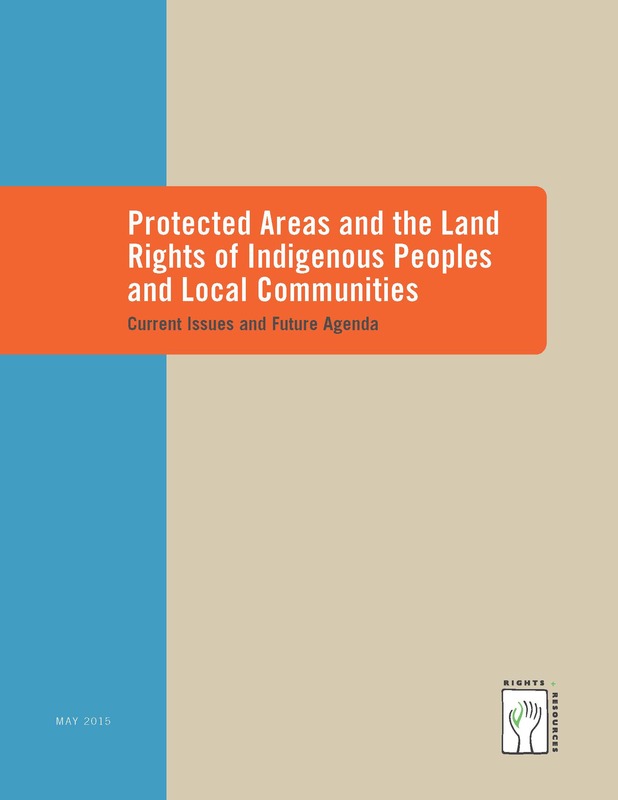 The first analysis to quantify the amount of land formally recognized by national governments as owned or controlled by Indigenous Peoples and local communities around the world. 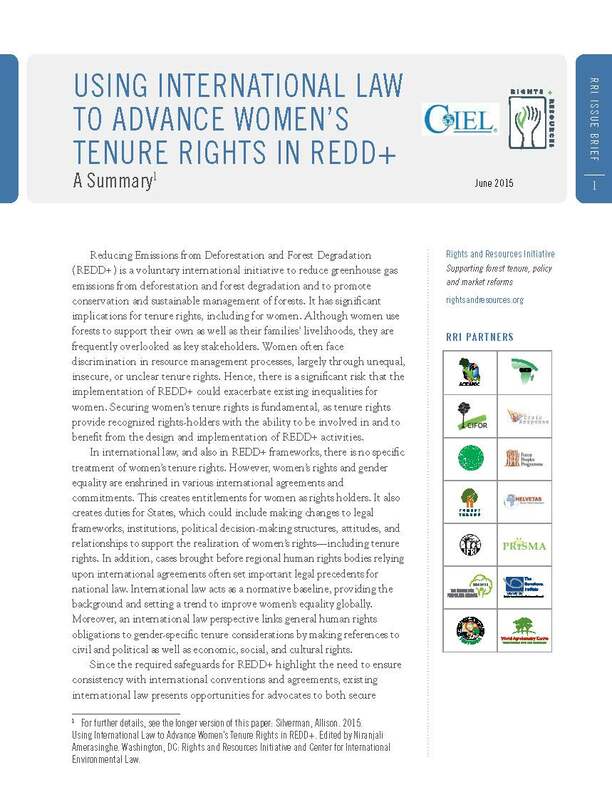 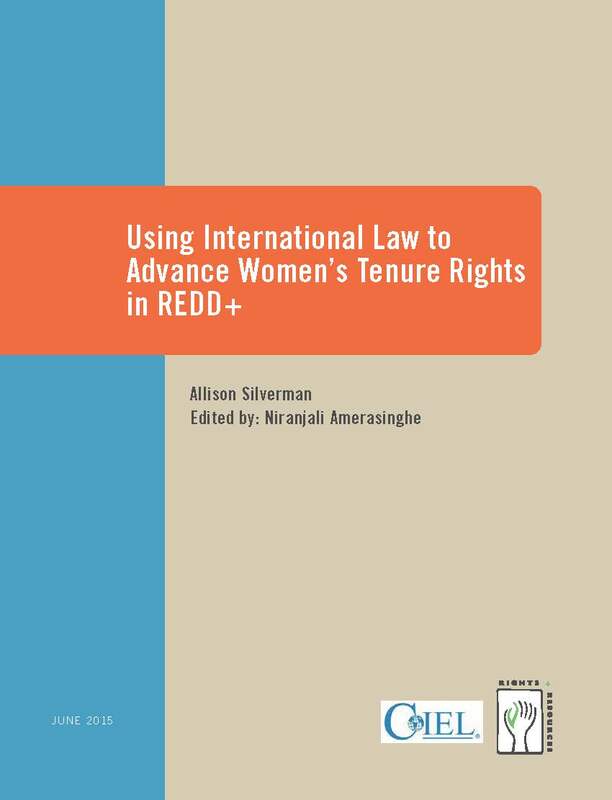 This paper makes a case for advancing women’s tenure rights and how international law can be used to promote those rights in the context of REDD+. 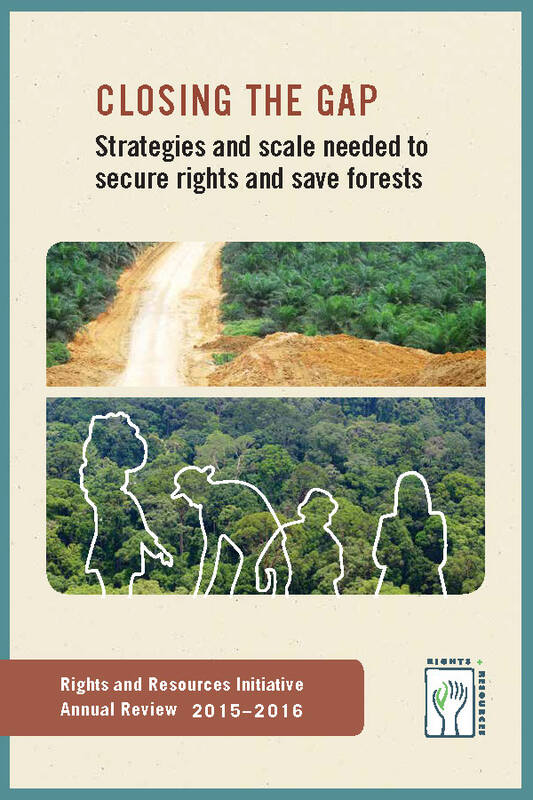 Today, Brazil is poised to reverse the considerable gains made between 1988 and 2008 in the land rights of Indigenous Peoples and other traditional communities….